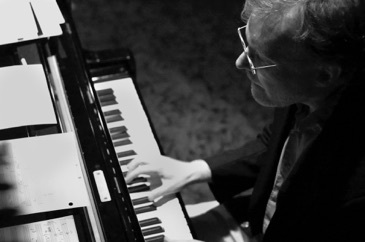 In addition to his work as a composer, Tony Genge also maintains an active career as one of Canada’s leading jazz pianists, educators and author. He has performed with many leading Canadian and international jazz artists and can be heard on the critically acclaimed jazz piano trio CD Blues Walk, available from Roadhouse Records. 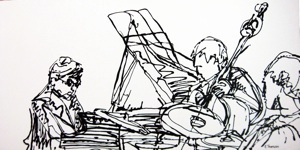 His playing, writings and arranging can also be heard on recordings by Joe Coughlin and Paul Horn. In 1994, his groundbreaking book on the legendary jazz pianist Red Garland, The Jazz Piano Solos of Red Garland was published by Houston Publishing Inc. A second volume on the pianist Wynton Kelly, The Jazz Piano Solos of Wynton Kelly, was also available. Dr. Genge has taught jazz piano at St. Francis Xavier University since 1989. Many of his students have gone on to professional careers as performers and educators.